The Whippet is a very fast dog, reaching 35 miles per hour at full speed. Despite this, they are fully capable of being quiet and well-mannered indoor pets. Small, Greyhound-like dogs resembling Whippets have been portrayed in paintings, carvings and other artwork for centuries. There are several different theories about the Whippet’s ancestry. 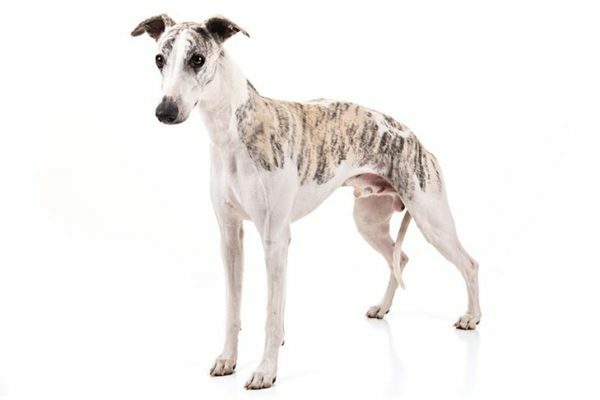 Some historians believe that the Whippet resulted from breeding runt Greyhounds repeatedly down in size, while others think that Whippets came from crossing Greyhounds with smaller Spaniels. Another theory is that the Whippet descends from crosses between Italian Greyhounds and various terrier breeds, particularly the Manchester Terrier. The Whippet developed in England in the 19th century and originally was bred to compete in rabbit-luring exhibitions. It quickly became a companion animal and utility dog for the working class. Miners in the north of England, and other commoners, could not afford to own the large sighthounds favored by royalty and gentry of the time. It is believed that they created their own “miniature greyhounds” to participate in the rabbit-killing contests that were then so popular, and that they called this dog the Whippet. The early form of these rabbit competitions involved turning rabbits loose in a confined space and then releasing dogs to see which one would make the quickest kill. This provided an avenue for people who were not wealthy to participate in gambling “games” with little initial investment or overhead. Eventually, this so-called “sport” was outlawed because of its cruelty. Whippet owners then turned to what became known as “rag racing,” where a cloth or fur lure was pulled down a straight track or alleyway, with speedy dogs being turned loose to chase after it. Again, this was an inexpensive way for townspeople to gather and gamble on their dogs. When not competing in races, the unobtrusive and loyal Whippet was able to hunt rabbit and other small game to help feed itself and its family. The first Whippets came to North America with English immigrants – primarily textile workers who immigrated to New England in the late 19th and early 20th century. They settled in Massachusetts and Maryland and brought their dogs and their Whippet-racing sport with them. 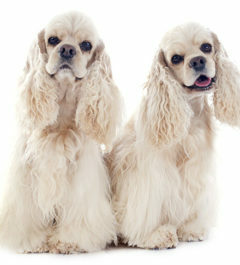 The breed was recognized by the American Kennel Club in 1888. 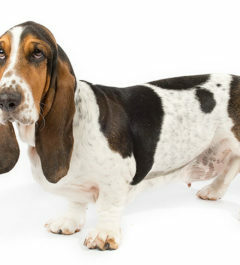 The Kennel Club (England) officially recognized the breed in 1891. Today’s Whippet retains virtually all of its original characteristics. It is extremely athletic and excels at lure coursing, racing, flyball, agility, obedience and Frisbee competitions. It has been used quite effectively as a therapy and service dog and is highly successful in the conformation ring. Its elegance and good manners have endeared the Whippet to many people. Potential owners should remember that Whippets are genetically programmed to chase, jump and run. They are enormously energetic, and they have the stamina to support their high energy level. Despite their kind and gentle nature, they can be quite intense and are not as delicate or fragile as they may appear. Whippets are affectionate, peaceful, and intelligent dogs that are great with children. A short coat with a variety of colors, the Whippet requires relatively little maintenance in the area of grooming and will not be prone to coat or skin problems. 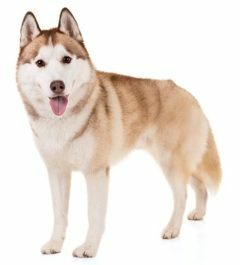 This is an easy dog to groom and is considered to be an average shedder. You’ll probably also find that the short coat makes for a minimal “dog” smell in your house, which is always a plus if you live in tight quarters. The Whippet requires occasional brushing to remove dead hairs. The teeth should be checked often to prevent tartar buildup and the claws must be kept trimmed. The average life span of the Whippet is 12 to 15 years, making it a particularly long-lived breed. Health concerns may include corneal dystrophy, cataracts, lens luxation, vitreal syneresis, progressive retinal atrophy, micropapilla, cutaneous hemangioma and a number of skin disorders. 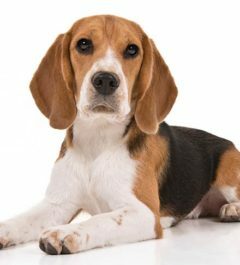 This breed has a greatly increased and adverse susceptibility to thiopentone. This drug is not recommended for use in the Whippet breed. This breed requires variety of activity during training. With the right approach, this dog will respond fairly well, though he may never be perfectly obedient. The Whippet is a small Greyhound, so he’s built to race and hunt. A lot of exercise is required. The Whippet has a large frame but its overall build is still light, so feeding your Whippet too much can become a habit to avoid. Resist the temptation to overfeed and make sure your Whippet works up a good appetite with a daily workout regimen. A Whippet should remain light and maintain its speed over the majority of its lifetime in order to remain healthy.